After months of trade challenges, world leaders recently made progress in complex negotiations. Last week, at the G-20 summit in Buenos Aires, U.S. President Donald Trump, Canadian Prime Minister Justin Trudeau and Mexican President Enrique Peña Nieto signed a new trade deal after two years of difficult negotiations, The New York Times reports. The trio claims that the revised agreement — which is being called the new North American Free Trade Agreement or the United States-Mexico-Canada Agreement — will benefit workers, businesses and the environment. One of the goals of the new deal is to have more automotive parts made in America, potentially increasing jobs and boosting wages in the auto industry. Starting in 2020, cars will have to have 75 percent of their components made in North America in order to be exempt from tariffs. In addition, at least 30 percent of the work to make the car must be done by workers earning at least $16 an hour — or three times what the average Mexican automaker earns. This requirement will be raised to 40 percent by 2023. Economists warn that this could increase car prices and push some small-car manufacturing out of North America, The Washington Post reports. Some American industries will have greater access to neighboring markets under the terms of the new deal. The Canadian government historically has restricted how much dairy can be produced domestically and how much foreign dairy can enter the country in order to keep milk prices high. This complex system still is in place, but Canada will eliminate its pricing scheme for Class 7 dairy products, which will enable U.S. dairy farmers to export more milk protein concentrate, skim milk powder and infant formula. In addition, U.S. pharmaceutical companies will be able to sell drugs in Canada for 10 years before facing generic competition. Currently, the pharmaceutical companies only receive eight years of market protection. The deal also includes provisions for agriculture, the digital economy and labor unions, and maintains the special dispute process negotiated in the original North American Free Trade Agreement. The U.S. steel and aluminum tariffs remain unresolved. Some pro-trade lawmakers have criticized that the new agreement places too many limits on the free flow of goods and services across borders. On the other hand, trade skeptics are concerned that the deal does not do enough to protect domestic jobs, support higher wages or conserve the environment. The new trade deal is not official just yet. The U.S. Congress still has to approve it before it can take effect. This task will be even more daunting in 2019 when Democrats take control of the U.S. House of Representatives, potentially posing stronger opposition to Trump’s Republican administration. In the near term, Trump hoped his agreement to the new deal would pressure Chinese President Xi Jinping to resolve the escalating tariff war with the United States, The New York Times reports. Indeed, the effort might have helped. The day after Trump signed the new agreement with Mexico and Canada, he and Xi agreed to a ceasefire in their tariff war. Leaders of both countries are hoping to reduce tariffs and reach a mutually beneficial deal that will revive the economic relationship between the two countries. 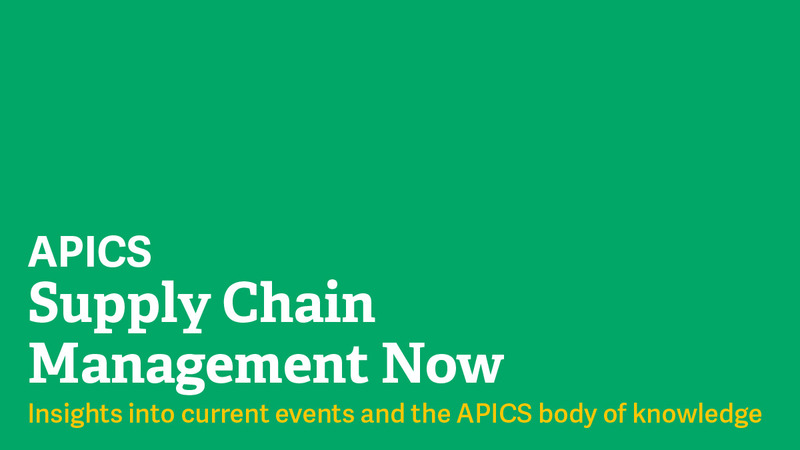 APICS offers resources to help supply chain managers navigate the complex world of global trade. For example the APICS Certified in Logistics, Transportation and Distribution (CLTD) program can help candidates understand customs clearing and documentation requirements, how free and foreign trade zones influence duties paid and total landed costs, and more. As trade deals develop, supply chain managers will need to be equipped with this type of knowledge in order to help their companies maximize their returns. To learn more about the APICS CLTD program, visit apics.org/cltd.